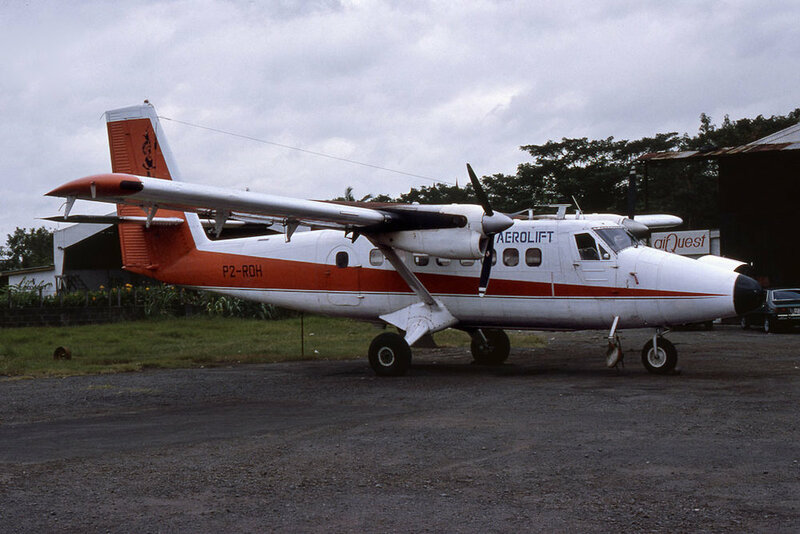 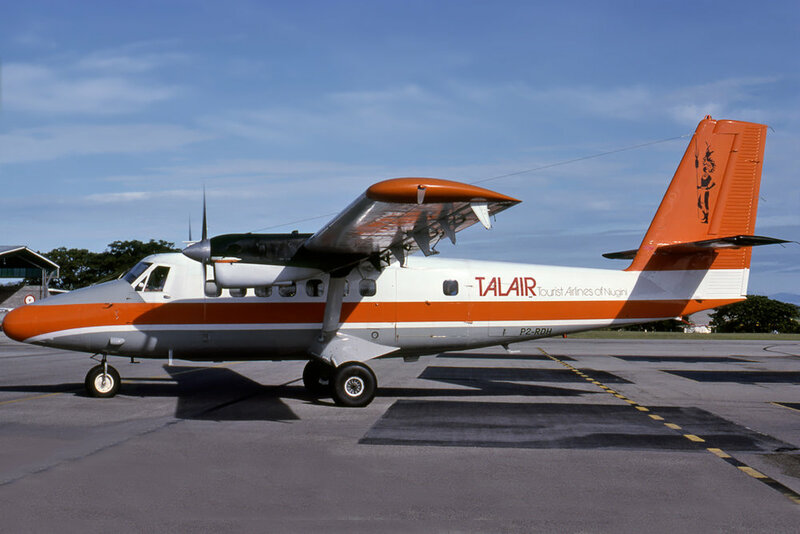 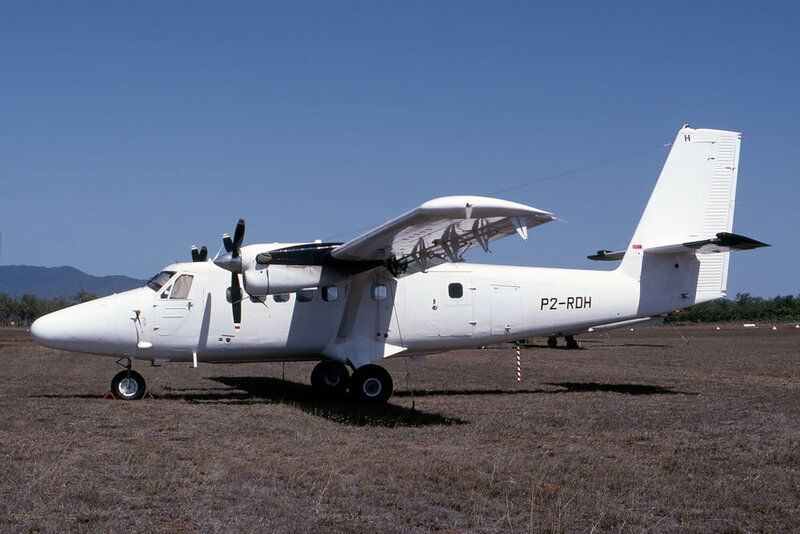 The registration RP-C1218 was reported for this aircraft while leased to Aerolift Philippines. 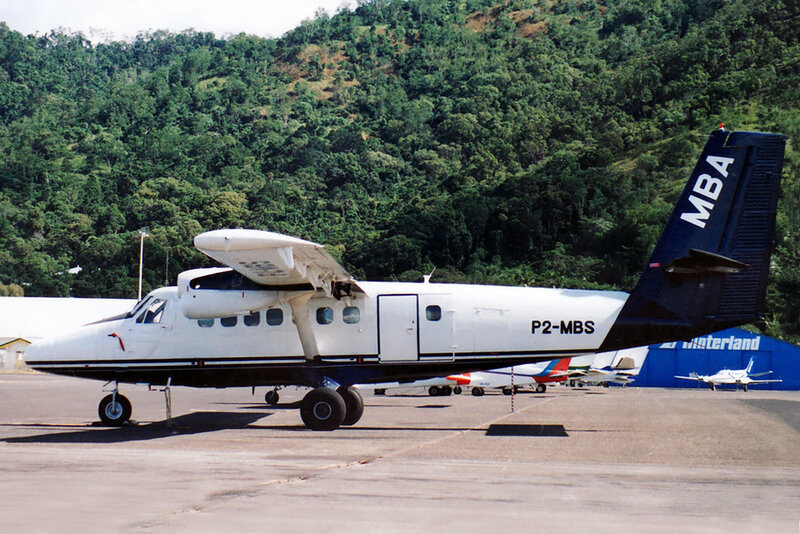 Given the photograph below, dated November 1988 which shows it still as P2-RDH, the Philippine allocation may be suspect. 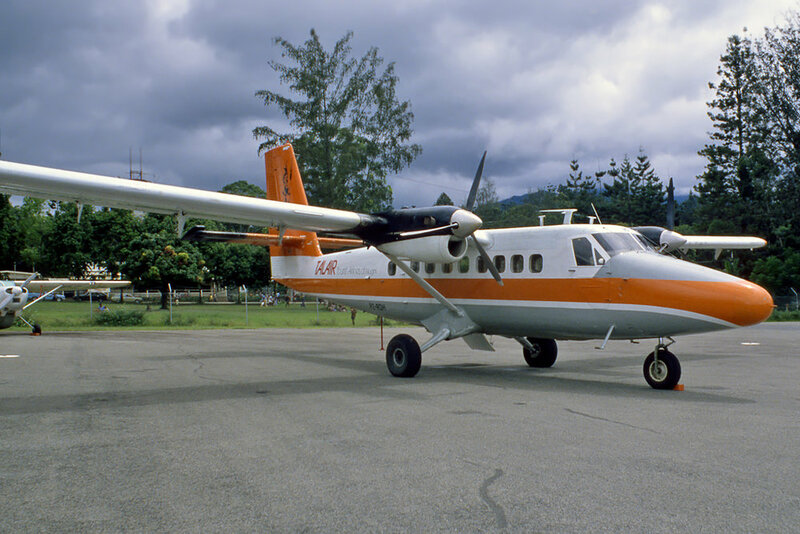 Although allocated as VH-MBX in Sep-2000, the aircraft was noted at Cairns, in a dismantled condition in Jun-2001 still carrying P2-MBS; noted again at Cairns 14-Apr-2004 and 02-Jun-2007 still as P2-MBS, fuselage now in two sections.